As usual, the frenzy is back as the elections draw near. Various narratives are traded by multiple groups and political parties on why electorates should give them their votes. Some have promised heaven and earth. Some have started implementing a new minimum wage. Some have also begun distributing political offices. As usual, this frenzied feeling is and has remained the norm from time immemorial. I am worried for two reasons. One is the fact that those that helped in higher proportion in destroying Nigeria in the last 16 years are now parading themselves as that messiah Nigeria needs. Secondly, is that we might be cursed as a nation always to turn a blind eye to good things. I must add that there is indeed a thin line between a blessing and a curse. For 16 years, we were cursed with bad leadership. For three years we have been blessed with excellent and purposeful leadership. And yet, we are complaining and making a comparison. I recall when a senior colleague of mine once jokingly argued that even Jesus Christ cannot fix Nigeria’s numerous problems in three years because they are multifaceted. He said: “Fixing Nigeria would take a minimum of 10 uninterrupted years of solid and purposeful leadership.” And I agreed with him instantly. The story of Nigeria could be likened to a mother that gave birth and was bleeding continuously, and the doctors initially ignored and left her to her fate, not until God sent a helper her way that figured out what was wrong, and the bleeding stooped. Mind you; she had lost so much blood that she had to be placed on life support with blood transfusion. Now, do we expect that the woman in question would rise to her feet the next day or in three days? The answer is no. She won’t. She would be monitored. She would be given stabilization medication, and gradually the healing process would begin. The above narrative explains Nigeria before the coming of the administration of President Muhammdu Buhari. You don’t have to like his face. But what you must like is the fact that he has brought Nigeria from that comatose state to a seating position through his numerous offerings in critical sectors of the economy. President Muhammadu Buhari has reset the country and taken it through the surgical knife. He has used three years to build a solid foundation in education by removing institutional corruption that once permeated the system. Transportation is back, and our roads are wearing new looks. Sometime last week, I stumbled on a report by one of the major newspapers in Nigeria titled “despite cash crunch, Buhari’s road constructions across Nigeria continues” and I was pleased that gradually, the truth is coming out for Nigerians to be the judge. Also in another report, it was stated that the Buhari led administration kick-started the National Economic Recovery and Growth Plan (ERGP) to aid economic recovery, taking the country out of her worst recession in 29 years, despite fall in oil prices. In an unprecedented move in the annals of the country, the Buhari-led administration has expended a whopping N1.2 trillion on capital/infrastructure projects nationwide. Flashback to those dark years when a particular political party held sway. Would these monies not end up in private pockets? Your guess is as good as mine. Nigeria today is showing prospects of walking once again after years of comatose. And to think that some architects of Nigeria’s misfortune are still parading themselves as patriotic individuals gives me goose pimples. That I ask, are we that gullible? Still under the Buhari administration, in three years, there was a practical implementation of the Treasury Single Account, which resulted in an increase in government revenue by over N3 trillion as well as entrenching transparency and accountability. There is also the implementation of the Bank Verification Number (BVN), thus tackling corruption by plugging loopholes for siphoning of public fund and tracking of illicit funds through multiple accounts. The country has also witnessed a massive investment in agriculture in the last three years. An example is the Anchors Borrowers Programme to improve local produce, improving fertilizer distribution and access across states through the Presidential Fertilizer Initiative. And in my opinion, this initiative has led to a reduction in rice imports as a result of the government’s policies that have encouraged massive rice production across Nigeria. This much was corroborated by the Central Bank of Nigeria (CBN) when it stated that the volume of rice imported into the country had declined drastically in 2018 despite “political demand.”. Has anyone heard of the Graduates-in-Agriculture Scheme in several states of the federation, a self-driven, government-assisted programme by which our young men and women are stopping their endless wait for white-collar jobs and creating wealth for themselves and the nation? What about the audacious Social Investment Programme to the tune of N500 billion, the most massive pro-poor programme in our nation’s history, and the most extensive social safety net in Sub-Saharan Africa? Are we even aware that in three years, 11 of the dead 33 fertilizer plants in Nigeria have been resuscitated? Are we also aware that for the first time in more than 45 years, the Mambila Power Plant is set to take off with the allocation of $5.6billion for its realization and an expected 3,050 MW output upon completion? Again, last year, the World Bank ranked Nigeria among the top 10 reforming economies in the world because the government is spending more on infrastructure than previous administrations. The list is endless. So much so that I ask again. Is there a thin line between a blessing and a curse? The Buhari administration is building lasting legacies for Nigeria and Nigerians. This much I have tried to highlight, as the elections draw near. My expository might not be suitable for some people that are against the progress of this country. But trust me, what Nigeria needs at this critical moment of our existence is a continuity of the legacies that are being put in place. 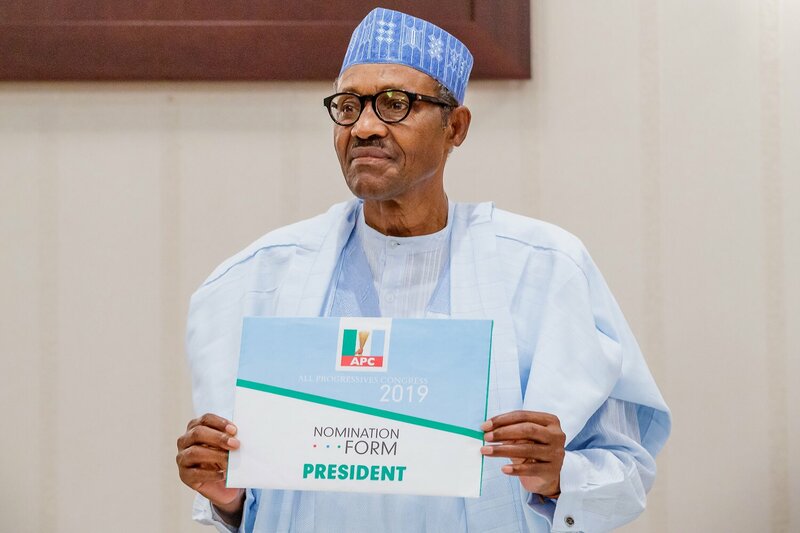 If the PDP could not do a fraction of what has been done in three years, do we have a reason to express reservations about the commitment of President Muhammadu Buhari to the Nigerian cause? If not for anything, we know the simple fact that in all that he does, the sincerity of heart and purpose are his trademarks. In my opinion, with a Buhari at the helms of affairs in Nigeria post-2019, Nigeria would be great. We won’t fall for the trick anymore by allowing those that plunged our commonwealth to have access to it again because it is not business as usual. I see a great country called Nigeria. I look at the prospects, and I know the president. And the president is Muhammadu Buhari. It, therefore, behoves on all of us that means well for this country to ensure that President Muhammdu Buhari returns in 2019. If we don’t rise to this challenge and we allow this opportunity to slip. History won’t be kind to us. A word is enough for the wise.